Kid’s parties often become expensive. Celebrations can add up quickly, especially if you have more than one child and you are hosting a variety of events (birthdays, graduations, holiday parties, etc) each year. Here are some tips on ways to cut down on costs, especially if you have an at-home party. ~ Latex balloons. Buy larger bags of balloons instead of small packs. For our girls, we bought bigger bags (upwards of 100) of pink and lavender balloons, and stored properly, these have lasted us for a while. These two colors have worked well for several years of birthday themes, including Rapunzel, Minnie Mouse, Dora, and Pinkalicious. ~ Skip or limit using helium balloons. The cost of helium balloons and the helium itself can add up quickly, and it can be a big hassle to get multiple helium balloons home from the store. A few mylar/helium balloons can make nice accents, but you can be creative with latex balloons and cut your costs. We have hung regular latex balloons from the ceiling using curling ribbons, and the effect was quite nice. ~ Be creative with crepe paper. Rolls of crepe paper can be fairly inexpensive, and it is easy to come up with a variety of ways to decorate. You can combine colors together, wrap columns, hang strands, and so on. ~ Ditch the expensive cakes. Grocery stores may offer some less expensive options. But don’t be afraid to try your hand at making a cake or going with cupcakes. Cupcakes are an easy homemade option, and it makes it easy to control portion size. If you buy a decorator set (with an icing bag and decorator tips), you can practice a couple times and then have those supplies on hand every time you have a party. 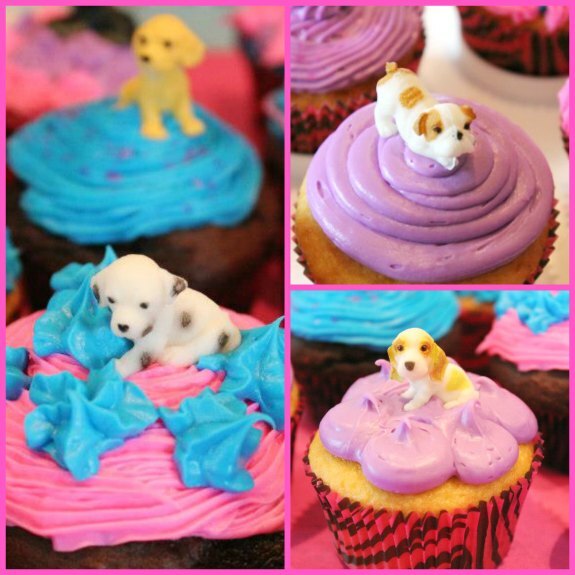 An added bonus is that you can make different flavors for people to choose from, and it is easy to serve cupcakes! You can also be creative with making your own cake or cupcake toppers, which can include small plastic toys that make nice mementos from birthday parties or finding free printables online that can be cut and then glued on sticks. ~ Homemade invitations. You can often find free printable invitations online. Or be creative and come up with your own ideas! Another more casual option is to use an free online invite website. ~ Free or cheap printables. If your child is a fan of a particular show or character, do a search to see if there are free party printables online. You may also be able to find inexpensive printables on sites like Etsy. 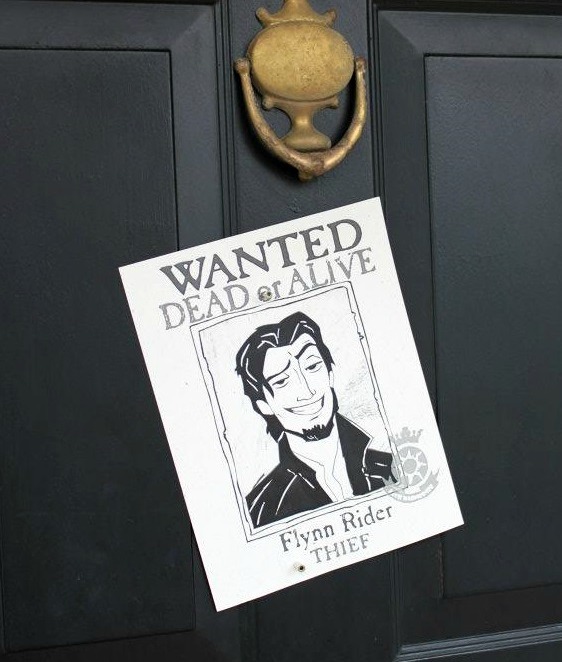 For example, for a Rapunzel birthday party, you can find images of “Wanted” posters, which look nice when printed on a cream color paper – or if you are ambitious enough, you can “age” regular paper. ~ Homemade thank you notes. Kids can benefit from creating their own thank you notes, and people will appreciate the effort of a homemade card. For children who are too young to write, they can create a small piece of artwork, which can be pasted to the front of a blank card, while a parent writes the note inside. Older children can decorate and write in the cards. ~ Plan ahead to cut down on food costs. Look for deals on food and beverages. 2-liter sodas may be more economical than cans. Or, make a large bowl of fruit punch or mix a large pitcher of iced tea or lemonade. Making a big tray of lasagna can be pricey, so keep an eye out for deals on food, such as pizza. Deal sites often have discounts on anything from pizza to catered food. ~ Check the dollar store. You might be surprised what you can find, including themed party goods, birthday candles, and serving items. ~ Look for creative DIY projects. This includes things like DIY tissue paper pom poms. Try sites like Pinterest to get creative ideas. ~ Make your own piñata. This may sound like a daunting project, but if you have the time and patience, you can make one out of materials you probably already having sitting around: cardboard, glue, masking tape (or another strong tape), crepe paper, and other colorful paper. Just be sure to make it well in advance in case you end up not being able to complete your project. ~ Save party supplies. We have a bin of party supplies that we save – everything from leftover crepe paper to party banners. Some items store more easily than others, but many can be reused, such as party banners. 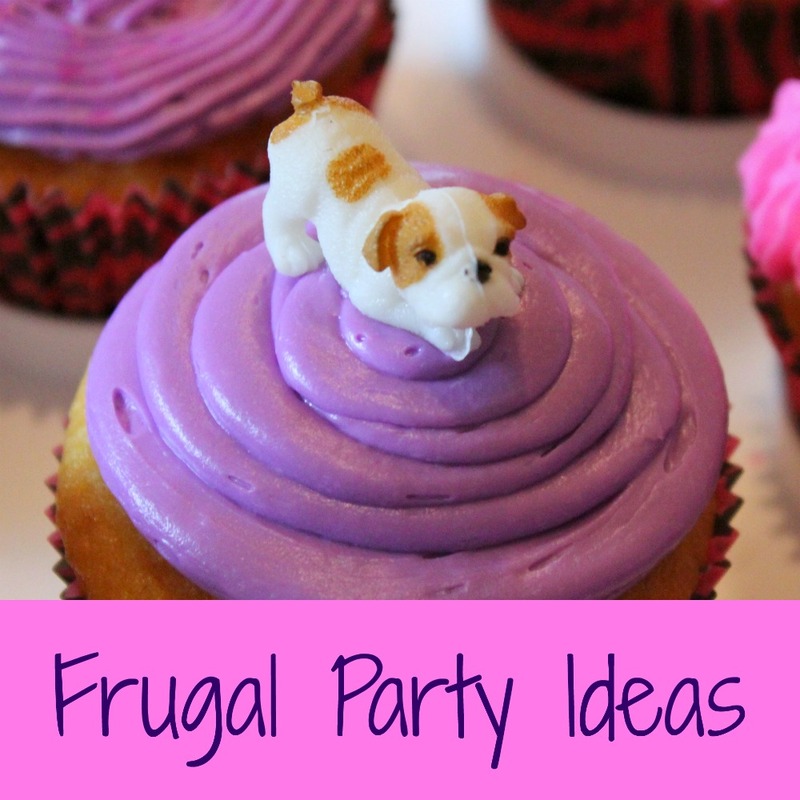 ~ If you do buy party supplies, always check online first for printable coupons. There are popular party stores that have regular coupons, and local party stores may have coupons in local papers or coupon flyers. ~ Keep favors economical. There are many ways to cut down on the cost of party favors. If you know parents of similar age children, see if you can split the cost of a bulk order of favors. You can also make homemade favors, such as baked goods, homemade play dough, homemade candies, and so on. Once you have some of these supplies (like candy-making supplies), you can use these products over, with different variations. For example, make chocolate dipped pretzel rods, and then do chocolate dipped marshmallows on a stick, with different kinds of sprinkles to match different themes. You can also buy bulk bags to use for favor bags, and decorate them yourself with stickers, ribbons, art, or homemade printed labels.